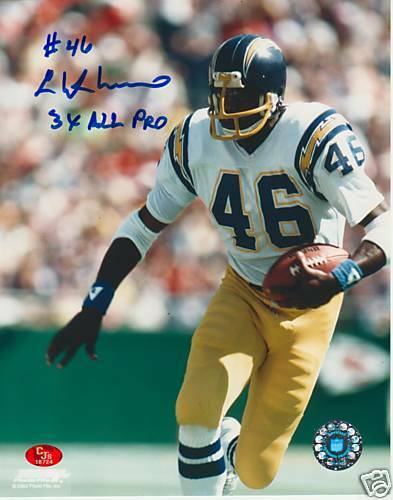 11x14 San Diego Chargers photo autographed in blue marker by the late former star running back Chuck Muncie and inscribed 3X All Pro. 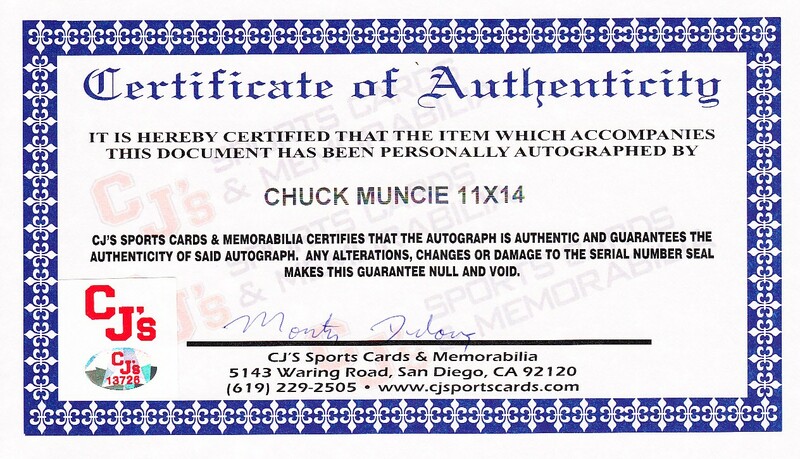 From a signing with CJ's Sports Cards, with their matching numbered stickers on the photo and certificate of authenticity. ONLY 2 LEFT.